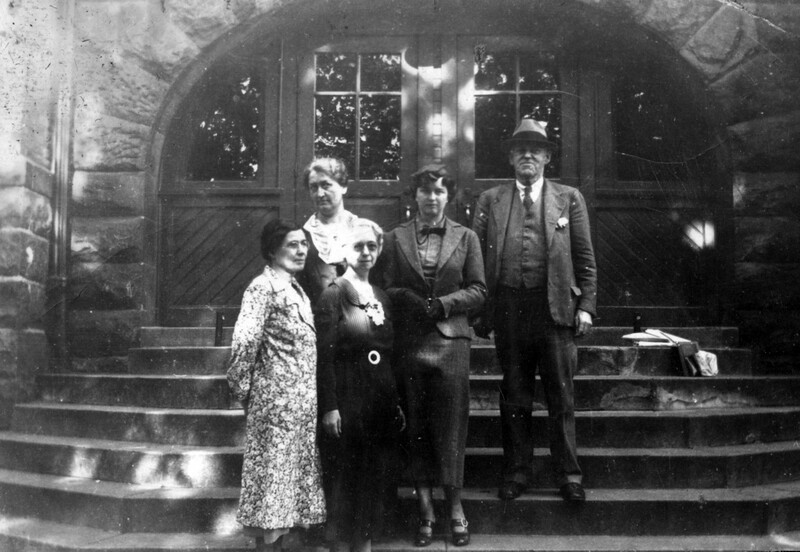 Principal Charles Henry Cogshall poses on the steps at the entrance of the school with four Hall School teachers on the day of his retirement. Cesar E. Chavez Elementary School, completed in 2009, stands in the same location as the 1892 Hall Street School. The original school was demolished in 1955 upon the completion of the second Hall School at the corner of Grandville and Shamrock.